Unboxing BDJ's June 2014 Box: Benefit Cosmetics Exclusive* | Vanity and Everything in Between. 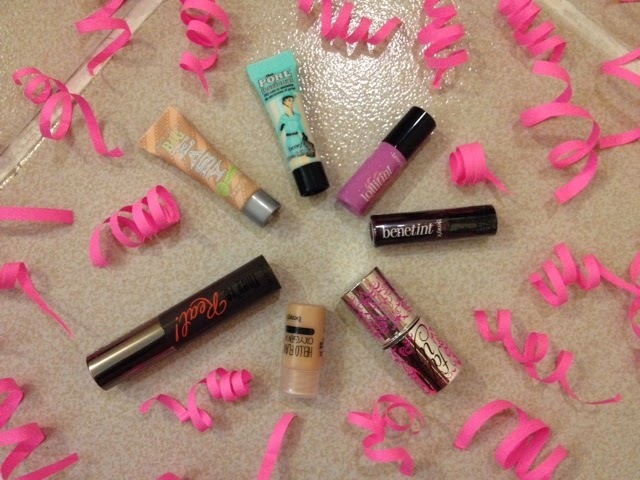 Don't you think Benefit Cosmetics has the best mini products? They really exert an effort on those minis! 1. Big Easy (35ml, PhP2,000) - Two reasons why this is bigger than ordinary BB's: first, it balances moisture and controls oil; second, the cushiony liquid-to-powder formula melts in like a cream, yet finishes lightweight and velvety like a powder. This multi-balancing complexion perfector self-adjusts to your shade to even out skin tone and conceal imperfections. 2. Porefessional PRO Balm (22ml, PhP1,600) - this lightweight balm contains a Vitamin E derivative to help achieve translucent pore coverage and smoother-than-smooth skin. Suitable for all skin tones and can be used under or over make-up, this oil-free primer will smoothen any open pores to make it glowing and absolutely flawless. I've tried The Porefessional several times and I love how it efficiently blurs out my large pores! 3. Lollitint (12.5ml, PhP1,700) - this candy-orchid tint treat lips and cheeks to a "pop" of dreamy sweetness. For a natural, rosy glow, just brush three strokes on the apple of your cheeks and blend quickly with fingertips. It i the flirtiest flush you can get from a bottle, and its smudge proof, smooch-proof colour lasts from day to night. Talk about stain power. I'm excited to use Lollitint! I've read a lot of raves about this one! 4. Benetint (12.5ml, PhP1,700) - this original rose-tinted stain is kiss-proof, see-through colour for lips and cheeks that lasts for hours. Wear it under your favourite lipstick or lipgloss to amp up the staying power of your lip colour, and under a highlighter on cheeks for a healthy, dewy glow. Just the sexiest flush you can get from a bottle! 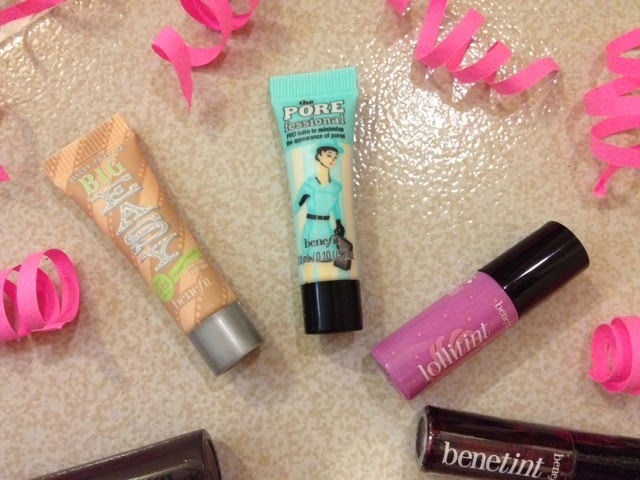 Benetint is the first product from Benefit Cosmetics that I've tried. It's always been a cult favourite! 5. Fake Up Concealer (3.5g, PhP1,600) - this crease-control concealer - with Vitamin E and apple seed extract - hides dark circles and diffuses fine lines for a silky smooth, ultra-natural look. You can also use it to touch up throughout the day. 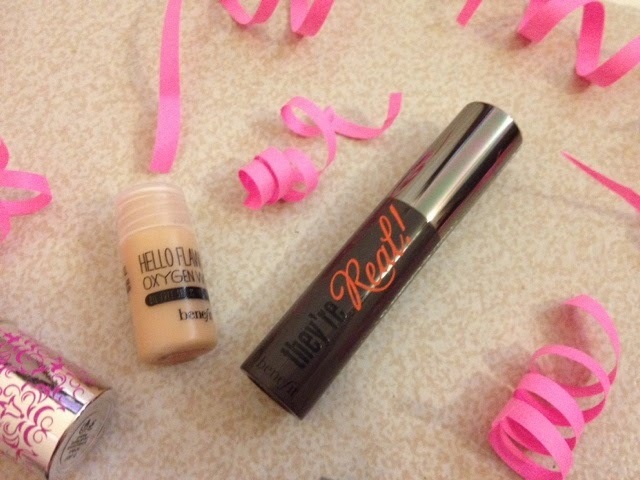 It won't cake, crease or settle, so no more worries for your eye area. I actually have this product already with the shade 02 Medium. The one included in the BDJ Box is 01 Light. Excited to use it to see if it would be another favourite! Take note, I still haven't used my full-sized Fake Up Concealer. 6. Hello Flawless Oxygen Wow (30ml, PhP1,900) - embrace the flawless you through this new oil-free brightening liquid foundation that builds from light to medium coverage for a natural complexion you can believe in. What's more, it has hydrating benefits and an oil-free formula your skin will love. Perfect for an all-day radiant look, this was named wow for a reason. This foundation is also part of my lemming list. Although, I don't know my shade yet. The one I received is Champagne and I hope it will be a perfect match on my skin tone. 7. They're Real Mascara (8.5ml, PhP1,300) - this power mascara lengthens, curls, volumes, lifts & separates. It contains a jet black, long-wearing formula that won't smudge or dry out, perfect for a quick and easy, daylight to nighttime look. Its specially designed brush made with precision bristles reveals lashes you never knew you had! Unfortunately, this is the product that I wasn't happy about. I bought this in full-size and it didn't do justice on my lashes. It hardly lengthened curled, volumized, lifted and separated my lashes. Worst of all, it gave me panda eyes because it transferred on both my upper and lower lids which I hardly experienced from other eyelash mascaras. This box is another hit from BDJ! I even read some comments on Instagram saying that they wish they subscribed earlier as they wanted this Benefit Cosmetics exclusive box. All products included in the box are minis which allow you try the product for at least 7 days. We all know that Benefit Cosmetics is an expensive brand so we can't really expect that we'd be given full sizes of everything. Nevertheless, I had fun unboxing this! 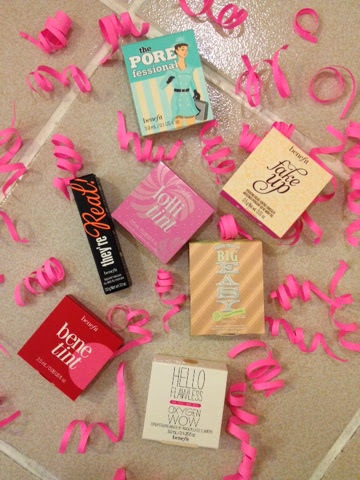 Benefit cosmetics always has the cutest packaging :) love your blog too! cute layout!